Chris graduated from Walsh University with a Bachelor’s Degree in Communications and a Master’s Degree in Education. 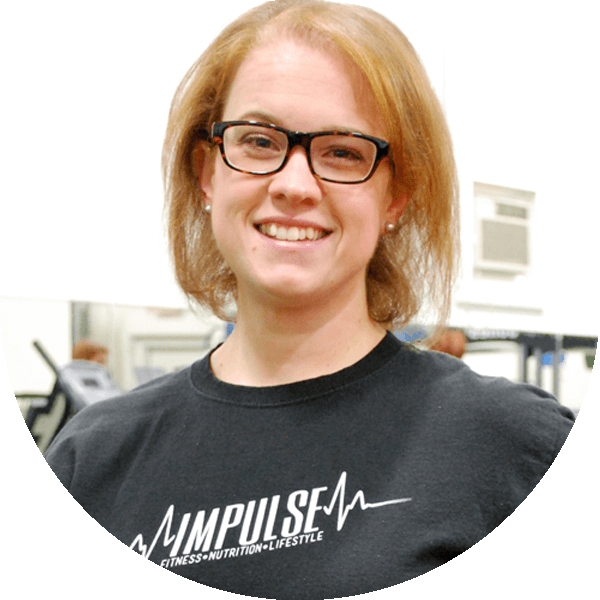 She joined Impulse as a client in 2013 as an overweight, out-of-shape and depressed person looking to get healthy. With consistent workouts and cleaner eating, better health poured into her life along with an 80 pound weight loss. She was asked to join the Impulse team in 2014 as a Guest Relations Coordinator. Her most important role at Impulse is making people feel at home by being able to relate to the struggles of getting your health under control. Chris’s compassion and empathy for each client helps them see their potential through her own story. She has experienced all the different service options offered at Impulse, and she is able to give honest insight as to what programs would be in the best interest of each client. Her role at Impulse is continually evolving and now involves everything from finances, to marketing, to most importantly…taking care of our clients!